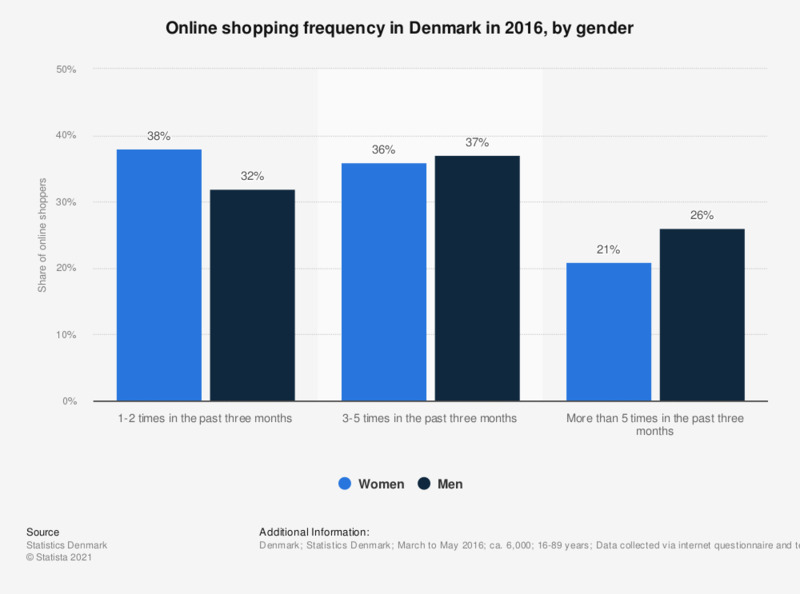 This statistic shows the frequency of online shopping in Denmark in 2016, by gender. The difference between the frequency of shopping among genders was that men shopped online more often (26 percent), but there were more women who shopped online one to two times in the past three months (38 percent). Do you buy blazers online?